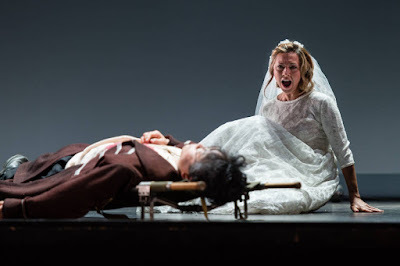 Woong-Jo Choi and Anna Princeva manage to cook up a real emotional charge here, and whilst neither has quite the ideal sense of line the energy and commitment of their performance really carries things. Princeva impresses in her opening cavatina, with an appealing edge to her voice and a nice delicacy in the ornamentation, but though she participates in the Act One finale, we have to wait for the rondo finale to the opera to hear her again properly, and here she rises to the occasion with a performance which, not always subtle, is high on vibrancy. 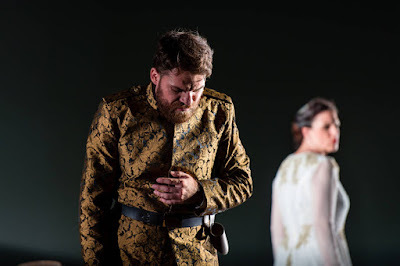 Tenor Adrian Dimitru, as the rather unsympathetic hero Riccardo, gets off to a slow start as his opening aria sees Dimitru sounding a bit pushed by the tessitura, which brings a few pitch problems and you long to tell him to relax. But his final Romanza is impassioned and intense, though still with a little tightness at the top. Katerina Hebelkova as Cuniza is a real second heroine rather than the rather mumsy mezzo-soprano figure you can sometimes get. Her voice has a an attractively resinous quality which brings great character to the role and she brings a believable brilliance and vibrancy in her performance of Cuniza's music, so that though there is the odd smudge in the faster passagework we appreciate the verve of her performance, and she is rather stylish too. In the title role Woong-Jo Choi is creditable, and in the various ensembles he clearly develops a passionate intensity so that the ensembles fairly crackle, but I found his voice sometimes lacked focus and he has a tendency to mistake bluster for drama. It is in the ensembles that the performance really comes alive. There is a terrific Donizettian duet for Riccardo and Cuniza in Act One, where the two give the music a real emotional charge and this is followed by a trio for Cuniza, Leonora and Oberto which leads into the Act One finale, a superb dramatic sequence which rather reminds you of some of Rossini's large scale ensemble scenes. Bosch brings a terrific sense of impetus to the drama. 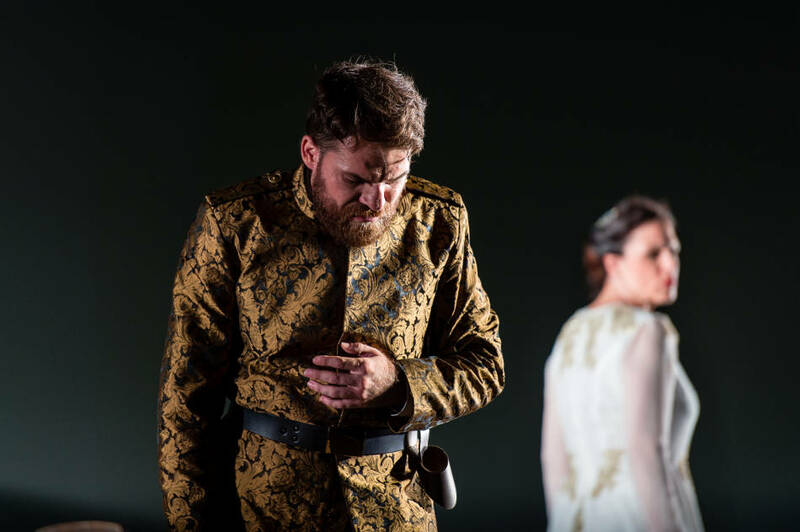 The quartet in the middle of Act Two is equally impressive, as a duel for Oberto and Riccardo is interrupted by Cuniza and develops into a vivid quartet. The chorus get a number of opportunities and are in fine voice. The orchestra gives a lively account of the opening Sinfonia, and provide strong support. This isn't a period style performance and they provide strong weight and impetus in the music. The CD booklet provides copious pictures of the Heidenheim production along with full text and translations. Verdi's first opera has done well on disc, and if you don't possess a copy then you might think about exploring Samuel Ramey, Maria Guleghina, Stuart Neill & Violeta Urmana on Decca, conducted by Neville Marriner or Rolando Panerai, Ghena Dmitrova, Carlo Bergonzi & Ruza Baldani on Orfeo conducted by Lamberto Gardelli. 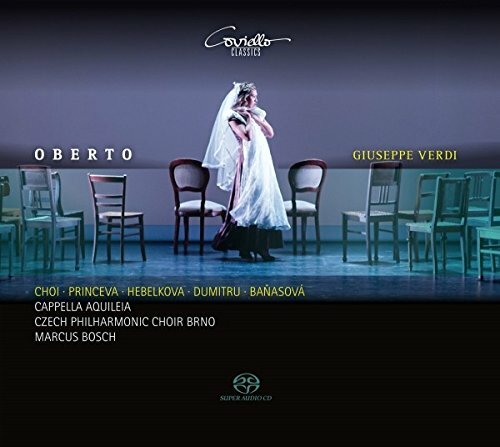 But Marcus Bosch draws tremendous verve and commitment from his performers, creating an account of Oberto which, for all the occasional complaint, really punches above its weight. Bosch and his cast bring all the vividness and vibrancy of having performed the work on stage. This year, Heidenheim continues its early Verdi explorations with another rarity, Un giorno di regno.